Kris Perquy, Executive Coach at STRAMMER, shared his analysis on one of todays’ most relevant topics in leadership : Resilience. People in leadership positions have to deal with pressure in their day-to-day job and resilience seems to be the key to boost your individual and team performance when you are facing a stressful time. Resilience management focus on the level of optimism and helping the entire team including yourself, to balance heavy workload with effective recovery strategies. Kris provided his insights of a recent scientific research about resilience (e.g. how to avoid the generosity burn-out) and provided us with hints on how to improve our own resilience as a leader. 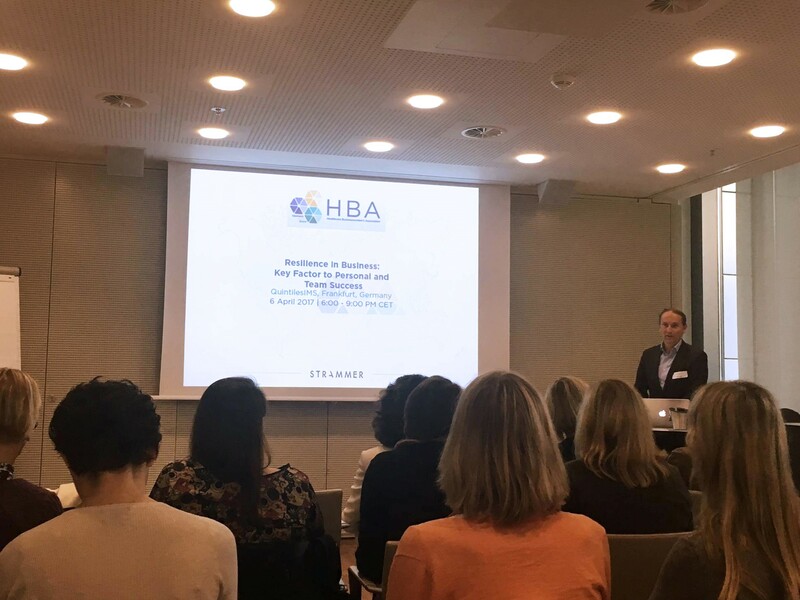 This 6, April, the HBA conference has enabled the audience to share their experiences and led to deep discussions about resilience but not only. Indeed, others important subjects such as gender gap and women’s role in the workplace were discussed too. Kris Perquy and Strammer are proud to partner with HBA, and wish to strengthen this partnership in the near future.